Roald Engelbregt Gravning Amundsen (July 16, 1872 – ca. June 18, 1928) was a Norwegian explorer of polar regions. Amundsen interacted with the Eskimos and fervently studied their methods of survival. He ate their diet and wore the same clothing made by reindeer. With the assistance of an Eskimo man, Amundsen and his men practiced building igloos and driving dog sled teams. He realized that the Eskimo practices were more effective than the Western methods. Putting this knowledge into practice, he led the first successful Antarctic expedition to the South Pole between 1910 and 1912. With Douglas Mawson, Robert Falcon Scott, and Ernest Shackleton, Amundsen was a key expedition leader during the Heroic Age of Antarctic Exploration. 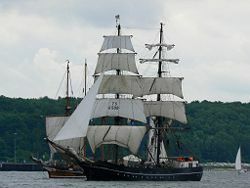 2.2 Traversing "the Northwest Passage"
Amundsen was born to a family of Norwegian shipowners and captains in Borge, in the middle of Fredrikstad and Sarpsborg, Norway. His father was Jens Amundsen. The fourth son in the family, his mother chose to keep him out of the maritime industry of the family and pressured him to become a doctor, a promise that Amundsen kept until his mother died when he was aged 21. Amundsen had hidden a lifelong desire inspired by Fridtjof Nansen's crossing of Greenland in 1888 and the doomed Franklin Expedition. As a result, he decided on a life of exploration. Amundsen was proud of being referred to as "the last of the Vikings." When he was young, he slept with the windows open in spite of the frigid Norwegian winters. He did this to condition himself for a life of polar exploration. Starting from the first time he saw the frozen terrain in 1897, Amundsen developed a fascination with Antarctica. His goal was to be the first explorer of that region. Amundsen was a member of the Belgian Antarctic Expedition as second mate. This expedition was led by Adrien de Gerlache, using the ship the RV Belgica, became the first expedition in winter to Antarctica. The Belgica, whether by mistake or design flaw, became locked in the sea ice at 70°30'S off Alexander Land, west of the Antarctic Peninsula. The crew then endured a winter for which the expedition was poorly prepared. By Amundsen's own estimation, the doctor for the expedition, American, Frederick Cook, probably saved the crew from scurvy by hunting for animals and feeding the crew fresh meat, an important lesson for Amundsen's future expeditions. In 1903, Amundsen led the first expedition to successfully traverse the Northwest Passage between the Atlantic and Pacific Oceans (something explorers had been attempting since the days of Christopher Columbus, John Cabot, and Henry Hudson), with six others in the ship Gjøa. They travelled via Baffin Bay, Lancaster Sound and Peel Sounds, and James Ross Strait and John Rae Straits to spend two winters exploring over land and ice from the place today called Gjoa Haven, Nunavut, Canada. Continuing to the south of Victoria Island, the ship cleared the Arctic Archipelago on August 17, 1905, but had to stop for the winter before going on to Nome, Alaska on the Alaska Territory's Pacific coast. Five hundred miles (800 km) away, Eagle City, Alaska, had a telegraph station; Amundsen travelled there (and back) overland to wire a success message (collect call) on December 5, 1905. Nome was reached in 1906. Due to water as shallow as 3 feet (1 m), a larger ship could never have used the route because of its large size. After crossing the Northwest Passage, Amundsen made plans to go to the North Pole and explore the North Polar Basin. On hearing in 1909 that first Frederick Cook and then Robert Peary claimed the Pole, he changed his plans. Using the ship Fram ("Forward"), earlier used by Fridtjof Nansen, he instead set out for Antarctica in 1910. He states in his book The South Pole that he needed to attain the South Pole to guarantee funding for his proposed North Polar journey. In preparation for the new objective, Amundsen carefully read all the accounts of the previous expeditions to Antarctica. He combined this with his own experiences, both in the Arctic and the Antarctic, in planning for the southern expedition. Amundsen told no one of his change of plans except his brother Leon and Thorvald Nilsen, commander of the Fram. He was concerned that Nansen would rescind use of Fram, if he learned of the change. (Nansen, when he was informed of the change, supported Amundsen fully.) Also, he probably didn't want to alert Robert Falcon Scott that he would have a competitor for the pole. Scott later said that Amundsen's presence had no effect on his own plans for the Pole. The original plan had called for sailing Fram around the Horn to the Bering Strait. Amundsen waited until Fram reached Madeira to let his crew know of the changed plan. Much to his relief, every member agreed to continue. Leon made the news public on October 2. While in Madeira, Amundsen sent a telegram to Scott, notifying him of the change in destination: "BEG TO INFORM YOU FRAM PROCEEDING ANTARCTIC—AMUNDSEN." They arrived at the eastern edge of Ross Ice Shelf at a large inlet called the Bay of Whales on January 14, 1911. Amundsen located his base camp there and named it "Framheim," literally, "Home of Fram." The Bay of Whales had been rejected by Shackleton as a potential base camp location. When Shackleton had visited Bay of Whales in 1907, he observed extensive calving in the inner bay. He rejected the location as too unstable for a camp. Amundsen read Shackleton's account of his expedition and noted the location and shape of the Bay had changed little from when James Clark Ross had discovered it 70 years previously in 1841. He reasoned that the feature was stable enough for his purposes and guessed that the ice shelf in the area was grounded on small islands or skerries. Amundsen remarked that if Shackleton had arrived a few days later, he might have chosen Bay of Whales. The ice shelf on which Amundsen's camp rested broke away in 2000 and floated out to sea (Ranulph Fiennes: Captain Scott 2003). The Bay of Whales location gave Amundsen an immediate advantage over Scott's location on McMurdo Sound. Scott would follow the route up the Beardmore Glacier to the Antarctic Plateau, discovered by Ernest Shackleton in 1908. Amundsen, however, would have to find his own entirely new path south to the Pole. Amundsen and his men created supply depots at 80°, 81° and 82° South, along a line directly south to the Pole. They began this process on February 10th. The depots were to supply part of the food necessary for the trip to the Pole, which was to take place in the following austral Spring. The depot trips gave Amundsen some experience of conditions on the Ross Ice Shelf and provided crucial testing of their equipment. The Ross Ice Shelf proved to be an excellent surface for the use of ski and dog sleds, Amundsen's primary source of transportation. When the depots were completed, they contained 6700 pounds (2750 kg) of food for the Pole journey. At Framheim, while the depot trips were conducted, the remaining team offloaded the remaining equipment and supplies from the Fram, killed seals and penguins for food and assembled a wooden hut that had been originally constructed in Norway for this purpose. Fram then departed and was to return the following year. The winter period was used to prepare for the attempt on the Pole the following spring. The team kept busy improving their equipment, particularly the sledges. The sledges, the same kind and manufacturer that Scott used, weighed 165 pounds (75 kg). During the winter, Olav Bjaaland was able to reduce their weight to 48 pounds (22 kg). The tents and footwear were also redesigned. On February 4, 1911, members of the Scott's team on Terra Nova (ship) paid a visit to the Amundsen camp at Framheim. Amundsen made a false start to the Pole on September 8, 1911. The temperatures had risen, giving the impression of an austral-Spring warming. This Pole team consisted of eight people, Olav Bjaaland, Helmer Hanssen, Sverre Hassel, Oscar Wisting, Jørgen Stubberud, Hjalmar Johansen, Kristian Prestrud and Amundsen. Soon after departure, temperatures fell below -60°F (-51°C). On September 12, it was decided to reach the Depot at 80° so they deposited their supplies and turned back to Framheim to await warmer conditions. The Depot was reached on September 15th from which they hurriedly retreated back to Framheim (Home of Fram). Prestrud and Hanssen sustained frost-bitten heels on the return. The last day of the return, by Amundsen's own description, was not organized. This was the result of poor leadership, by all accounts except Amundsen's. Johansen carried Prestrud through a blizzard for hours. Raw strength, experience and dumb luck saved their lives. 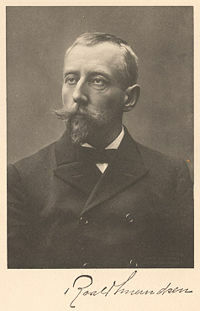 At Framheim, Johansen, who had extensive Arctic and dogsled experience with Nansen, openly suggested that Amundsen had not acted properly and had abandoned Prestrud and himself. Amundsen then reorganized the Pole party by reducing its number. Prestrud, with Johansen and Stubberud, was tasked with the exploration of Edward VII Land. This separated Johansen from the Pole team. Johansen was further humiliated by having the inexperienced Prestrud placed in command of the subsidiary expedition. On their return to Norway, Johansen was prevented from landing with the others and eventually committed suicide in 1913. The new Pole team consisted of Bjaaland, Hanssen, Hassel, Wisting and Amundsen. They departed on October 19, 1911. They took four sledges and 52 dogs. Etah was the name of the lead female dog. She was a samoyed. The route was directly south from Framheim across the Ross Ice Shelf. On October 23rd, they reached the 80°S Depot and on November 3, the 82° Depot. On November 15, they reached latitude 85°S and rested a day. They had arrived at the base of the Trans-Antarctic Mountains. The ascent to the Antarctic Plateau began on 17th. They chose a route along the previously unknown Axel Heiberg Glacier. It was easier than they had expected, though not a simple climb. They made a few mistakes in choosing the route. They arrived at the edge of the Polar Plateau on November 21 after a four-day climb. Here they camped at the place they named "Butcher Shop." Here, 24 of the dogs were killed. Some of the carcasses were fed to the remaining dogs, the men themselves ate some of the dog meat. The balance was cached for the return journey. The trek across the Polar Plateau to the Pole began on November 25th. After three days of blizzard conditions, the team grew impatient and departed. Blizzards and poor weather made progress slow as they crossed the "Devil's Ballroom," a heavily crevassed area. They reached 87°S on December 4. On December 7th, they reached the latitude of Shackleton's furthest south, 88°23'S, 180 km (97 nautical miles) from the South Pole. On December 14, 1911, the team of five, with 16 dogs, arrived at the Pole (90°00'S). They arrived 35 days before Scott's group. Amundsen named their South Pole camp Polheim, "Home of the Pole." Amundsen renamed the Antarctic Plateau as King Haakon VII's Plateau. They left a small tent and letter stating their accomplishment, in case they did not return safely to Framheim. Amundsen's extensive experience, careful preparation and use of high-quality sled dogs (Greenland huskies) paid off in the end. In contrast to the misfortunes of Scott's team, the Amundsen's trek proved rather smooth and uneventful, although Amundsen tended to make light of difficulties. They returned to Framheim on January 25, 1912 with eleven dogs. Henrik Lindstrom, the cook, said to Amundsen: "And what about the Pole? Have you been there?" The trip had taken 99 days (originally planned to have taken 100 days), the distance about 3,000 km (1,860 miles). 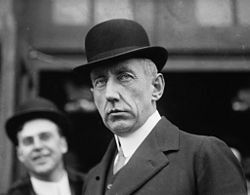 Amundsen's success was publicly announced on March 7, 1912, when he arrived at Hobart, Australia. Amundsen recounted his journey in the book The South Pole: An Account of the Norwegian Antarctic Expedition in the "Fram," 1910 - 1912. The reasons for Amundsen's success and for Scott's failure in returning from the South Pole have always been the subject of discussion and controversy. Whereas Amundsen returned with his men in the best of health, Scott's party of five lost their lives on the Ross Ice Shelf on the return journey from the pole. There are many reasons why Amundsen was successful, among these are a single-minded purpose to reach the pole, knowledge of Inuit technology, careful planning, attention to detail and the use of skis. They discovered the Axel Heiberg Glacier which proved to be a quicker route up to the Polar Plateau than the Beardmore Glacier, which had been discovered by Shackleton three years previously and was then used by Scott. Without the good luck of finding this new shorter route, Amundsen's careful planning and attention to detail would have been fruitless. Though some have said the Heiberg Glacier is an "easier" route, it is merely shorter. It has been described by explorers as a tumult, a "catastrophe of ice." Pilots flying over the region prefer the long slope of the Beardmore to the Heiberg, for which they must use their maximum rate of climb to overcome. Another major factor contributing to Amundsen's success was undoubtedly the use of dogs for transport. 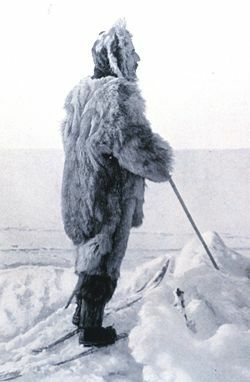 Amundsen used Greenland Huskies to pull his sledges to the Pole and back. After reaching the Polar Plateau, over half of the dogs were killed and fed to the remaining dogs, reducing the weight of dog food required for the entire trip. Scott employed a complex scheme for transport involving skis, dogs, tractors (which broke down about 50 miles from base camp), and Mongolian Horses (which were eventually killed for food) on the initial stages of his journey. They did not handle dogs in the manner of Amundsen and did not use skis effectively even though Norwegian expert skier Trygve Gran accompanied them on Nansen's advice; Gran had not been allowed to train the men properly nor were the men willing to learn. Scott's party relied primarily on "man hauling" which meant using only their own power to pull their sledges, which was Scott's own preference. Scott calculated the supply requirements based on a number of expeditions, both by members of his team and by those of Shackleton. The shortage of food and fuel that eventually killed Scott's team was due to the unexpectedly cold weather and the injuries of members of the team slowing their progress and a leakage of fuel from the cans stored in the depots. Amundsen did not experience this fuel loss due to his practice of soldering the fuel tins until they were to be used. On their return to the Ross Ice Shelf, Scott's group experienced prolonged blizzards and low temperatures which have only been matched in one year since continuous records began to be kept in 1985 . However, this cold weather was similar to that of the previous year when Lt. Evans returned from a short one-week depot stocking expedition. Scott and Shackleton's experience in 1903 and 1907 had indicated that prolonged cold like this was unusual, especially so early in the winter season. A blizzard cemented the fate of the Scott team, preventing them from reaching the final food and fuel depot. They had placed their One-Ton Depot at 79° 29', a critical 36 statute miles short of its planned location at 80°. "I may say that this is the greatest factor—the way in which the expedition is equipped—the way in which every difficulty is foreseen, and precautions taken for meeting or avoiding it. Victory awaits him who has everything in order—luck, people call it. Defeat is certain for him who has neglected to take the necessary precautions in time; this is called bad luck." —from The South Pole, by Roald Amundsen. In 1918, Amundsen began an expedition with a new ship Maud, which was to last until 1925. Maud sailed West to East through the Northeast Passage, now called the Northern Route (1918-1920). Amundsen planned to freeze the Maud into the polar ice cap and drift towards the North Pole (as Nansen had done with the Fram), but in this he was not successful. However, the scientific results of the expedition, mainly the work of Harald Sverdrup, were of considerable value. In 1926, Amundsen, Ellsworth, Riiser-Larsen and Italian aeronautical engineer Umberto Nobile made the first crossing of the Arctic in the airship Norge designed by Nobile. They left Spitzbergen on May 11, 1926 and landed in Alaska two days later. The three previous claims to have arrived at the North Pole – by Frederick Cook in 1908, Robert Peary in 1909, and Richard E. Byrd in 1926 (just a few days before the Norge) – are all disputed, as being either of dubious accuracy or outright fraud. Some of those disputing these earlier claims therefore consider the crew of the Norge to be the first verified explorers to have reached the North Pole. If the Norge expedition was actually the first to the North Pole, Amundsen would therefore be the first person to attain both poles. The German brig, Roald Amundsen. The Canadian Coast Guard named an icebreaker CCGS Amundsen, whose mission is to perform scientific research in the waters of the Arctic. A large crater covering the [Moon's south pole is named Amundsen Crater after him. ↑ CHAPTER XI. Through the Mountains retrieved June 22, 2007 from The South Pole, Volume 2, Chapter XI. The Red Tent Sean Connery plays Amundsen. This page was last modified on 14 July 2015, at 15:25.